The future of work (FoW) has emerged as a major policy topic in recent years. However, analysis of the potential impacts of automation has shadowed the effects of other major trends like digitalization and the rise of the gig economy. Moreover, policy proposals are often gender-blind, which threatens the achievability of global gender equality compromises such as those contained in the 2030 Agenda on Sustainable Development. Today, women face more challenges than their male colleagues when it comes to labor participation and access to decent jobs. This gap could widen in the verge of new labor market trends. This policy brief identify four of these trends and proposes overarching policy recommendations. First, automation will probably have a differential impact on women and men: skills gaps should be recognized and addressed, particularly those related to science, technology, engineering and math disciplines. Second, the rise of non-standard employment globally is critical insofar these kinds of labor relations often imply lack of social protection. This is particularly true for women, whom often end up in the most pervasive forms of non-standard employment, characterized by informality, low wages, and lack of social status. Third, demographic changes are increasing the demand for care work. Whether this represents an empowerment opportunity for women or not would depend of the policy responses enacted by governments worldwide. Finally, the rise of the gig economy posits both opportunities and challenges for women worldwide. The promises of more flexibility and better family-work balance are faced with risks of income insecurity, precarious jobs in the informal sector of economy and even physical abuse. The 2030 Agenda for Sustainable Development, adopted by world leaders in 2015, offers a roadmap based on the principles of leaving no one behind and galvanizing a ‘data revolution’ to ensure that changes in people’s lives – and associated policy – are increasingly informed by comprehensive data. Historically marginalized groups should be at the center of the policy frameworks aimed at creating enabling conditions for sustainable development. This implies to establish the pillars to empower these groups in the face of future challenges. The current picture shows that women will remain a marginalized group if gender-sensitive interventions are not enacted. A disruptive narrative about the acceleration of the impact of technology on the future of work has caught the attention of the global community of policy makers. However, the conversation is often gender-blind. Analysis of the topic is too often oblivious to the differential effects that automation and digitalization are likely to have on men and women. This lack of sensitivity reproduces the marginalization that women are already experiencing in the labor market and reinforces existing gaps in terms of wellbeing and social inclusion. In 2017, global female labor force participation reached 49.4%, 26.7 p.p. lower that for men; no improvements are expected in the short term (ILO, 2017a). Women are more likely to remain economically inactive and, when they do participate in labor markets, they are more prone to be unemployed, work in the informal economy, receive lower wages, concentrate in less dynamic sectors and be under-represented at the top (Díaz Langou et al, 2018). Gender equity is a top priority for the 2018 Argentine G20 Presidency. To sustain this commitment, it is necessary to take into account the relative position of women in the labor market and the specific challenges that they look set to endure during the so called ‘Fourth Industrial Revolution’. Debating the Future of Work offers a rare opportunity to look beyond the immediate future which so often dictates policy discussion and planning. It creates space to discuss major emerging trends and question what ought to be done to produce positive outcomes in the years and decades to come. It is critical to ensure that the future of work works for women, as the principle of Leaving No One Behind mandates (UN Women, 2016). Women’s economic empowerment refers to a “process whereby women’s and girls’ lives are transformed from a situation where they have limited power and access to economic assets to a situation where they experience economic advancement” (Taylor and Pereznieto, 2014). This implies not only an increase in women’s access to income and assets but also to guarantee control over them and their use. Decent work is crucial to economic empowerment, both in itself and as an instrument to secure an income and assets (Hunt and Samman, 2016). Employment is an empowering tool for women only if it meets certain quality requirements. Kabeer (2012) proposes a continuum to indicate how much a job can empower women. Good jobs, that are basically those that meet the ILO criteria of decent work, are at one end; bad jobs (informal, poorly paid and often demeaning) are at the other end. According to the Chronic Poverty Research Centre (2005), the poorest are more likely to end up working in the worst jobs (Hunt and Samman, 2016): Studies also confirm that poor women engage in activities to survive, which often forces them into forms of work that do not contribute to their empowerment As Kabeer (2012) states, there is little evidence that women are actively choosing to work this types of jobs. “Moving women along the spectrum is a core challenge to make work more empowering (…) Tailored interventions are needed both to support women’s entry into better, more profitable and empowering work, and to improve conditions in precarious employment” (Hunt and Samman, 2016). This is particularly challenging given the rise non-standard employment, such as own-account workers and part-time work worldwide (ILO, 2016a). Moreover, the gendered segregation of work limits women’s entry into sectors traditionally associated with ‘male’ capabilities, such as the engineering, science and technology fields (Tejani & Milberg, 2010). These sectors have notably better working conditions- from higher pay to social protection. Even in ‘feminized’ areas of work predominated by women workers, such as the service sector which constitutes 80% of women’s employment in OECD countries, women mainly occupy low paid positions (OECD, 2017). Policies aimed at shattering these glass walls should be a priority. Demographic change opens a relatively unexplored opportunity for women that face obstacles in entering the labor market. Digitally-mediated provision of care and domestic work services is growing globally, and these jobs are being mainly occupied by women. However, quality of social protection and income stability remain an ongoing challenge (Hunt & Machingura, 2016). Moreover, gender inequities are being reproduced and magnified in the digital economy. In many emerging economies, women lag behind in terms of mobile and internet access. While the digital divide exists in varying degrees across the G20, poorer communities and rural women in the developing world tend to be the least digitally included (W20, 2017). Addressing barriers that implicitly and explicitly discriminate against women and girls’ access to equal education and digital training is essential for harnessing the transformative potential of ICT. This will ensure that women leverage digital opportunities in the future world of work for their economic empowerment. This Policy Brief aims to be a comprehensive attempt to place a gender lens on the specific challenges associated with digitalization, the gig economy and social protection schemes in the labor markets of G20 economies. Education and skill gender gaps, alongside care commitments and socio-cultural norms, restrict women’s access to economic opportunities. If these trends continues at their current rate, the future of work may not be wholly positive for women. The changing world of work offers women unique and critical opportunities for economic empowerment; yet these will rely concrete policy action. Widening inequalities are a continuing megatrend and the imperative need to tackle them is a core part of the global commitment to’ Leave no one Behind’, in the 2030 Agenda for Sustainable Development. The mandate is clear: policy interventions must focus on the most marginalized groups first. When devising policies to respond to the changing world of work, it is critical to look at the implications the trend will have on different societal groups, notably for those whom have traditionally encountered greater obstacles to entering the labor market in decent conditions. The current global labor force participation is approximately 49% for women and 75% for men. This 26 percentage points gap is an average: some regions face a difference of more than 50 percentage points (ILO, 2017). Women also experience significant barriers to entering formal employment and so tend to be overrepresented in certain types of vulnerable jobs. Moreover, they are disproportionately responsible for unpaid domestic and care work, putting their careers at risk (ILO, 2017). Going forward, it is critical that the FOW conversation has a strong, clear narrative on the causes and effects of growing, multidimensional inequality, with persistent gender equality at its core. A relationship between this narrative and the world of work, thinking how labor markets can both maintain inequalities and provide opportunities for progress. Tackling gender pay gaps and the unequal distribution of unpaid care and domestic work which act as a barrier to female labor force participation. Addressing labor market segmentation, including gendered occupational segregation. Supporting equal access to education, skills development and training updates to meet the requirements of evolving labor markets. Ensuring an efficient interrelationship between progressive labor, social protection and macroeconomic policy to support redistribution and growth. The 2030 Agenda has a set of guidelines to address one of the major challenges of the differential impact of FoW trends on women and men: a lack of comprehensive data. Insufficient information is an obstacle to understanding the scale, pace and depth of the transformation of the global labor market. Lack of data precludes institutional capacity from easing the effect of technology displacement, solving the skills mismatch problem and regulating emerging sectors (Nofal, Corember, & Sartorio, 2018). Real time data is a precondition to anticipating challenges and better informing policy to address them. As long as women continue to be neglected due to poor information, it is imperative to strengthen statistical offices to produce and analyze data from a gender perspective, (De Orte, Segone, Tateossian, & Josephilda, 2015). Automation is not a prospective phenomenon. Labor markets all around the world are being transformed. Even if it tends to be associated with robotization in factory lines, it affects the service and administrative sectors too. Automation could widen the divide between men and women in the workplace, and evidence suggests that women face greater risks of job replacement. Unfortunately, data is insufficient to have a clear picture of the actual impact in the medium and long run. A World Economic Forum report states that 1.4 million US hobs will be at risk by 2026. 57% of these jobs are currently performed by women (WEF,2018). For example, retail salespeople and cashiers are two of the top three most common US jobs, employing 7.8 million people. This jobs are highly replaceable by technology development and 74% of them are now occupied by women (US Bureau of Labor Statistics, 2017). Other evidence suggests that the impact of automation will not be equal and it will affect differentially to women and ethnic minorities, as they are more likely to work in the lower-skilled jobs that are susceptible to automation (Institute for Public Policy Research, 2017). PwC, however, states that the trend will not be straightforward. It identifies three separate waves of automation. The first one is the algorithm wave and implies the automation of simple computational tasks; it will follow the augmentation wave, defined by automation of repeatable tasks. Finally, the autonomy wave that will automatize problem solving in dynamic real-world situations. PwC estimates that the first two waves will affect disproportionally more women than men, but this will be compensated by the opposite effect of the third wave (PwC, 2017). Most gender-sensitive data is only available for developed countries. However, information on emerging economies is not more encouraging: in Cambodia, for example, 88% of garment workers (81% of them are women) face displacement through automation (ILO, 2016b). Progress has been made regarding the global gender education gap. In some countries, women have better levels of educational enrollment and attainment than men. However, this path is heterogeneous. In some regions and countries, young girls face explicit prohibitions to go to school, are subject to discrimination and remain in charge of a great part of domestic choirs, all factors that prevent them to have a meaningful formation. By 2012, only 66% of girls finished primary school in Sub-Saharan Africa, and in three countries only 35% did (UNICEF, 2013). Moreover, there is a horizontal segregation in regards to the skills that boys and girls are encouraged to develop though all their life-cycle. Biases start at an early age and are reinforced throughout an individual’s life trajectory. Girls are less encouraged to study math or science, and often internalize beliefs (Nguyen & Ryan, 2008) that boys are naturally more adept in these fields. The reasons for this gap are complex, but it is possible to identify three major drivers: 1) Aspirations that are molded by social and cultural norms about what a woman can and should do; 2) Information failures that deter women from entering STEM fields; 3) Institutional factors that constrain women from entering and remaining in STEM jobs (Muñoz-Boudet, 2017). Socio-cultural norms and factors affect this, as well as their career and occupation choices (Beneke de Sanfeliú, Polanco, Vásquez, & Calderón, 2016). Educational systems might reinforce stereotypical expectations for women (OECD, 2012), leading to reduced female participation in certain fields. In a changing world, the Fourth Industrial Revolution seems to lead to a future of work where jobs in science and technology will be some of the fastest growing, best paid (WEF, 2016) and predominantly male. Some analysis points to job polarisation with growth in both the highest and lowest paid sectors (ILO, 2016b). Occupational restructuring could have differential impacts on women and men due to current gender segregation. The growing demand for professionals in Science, Technology, Mathematics and Engineering (STEM) is met with a significant labor shortage in these fields. Women are underrepresented and their low participation rates can be traced back to their school years with internalized gender stereotypes (UNESCO, 2016). This segregation needs to end for women to fully take advantage of the trends shaping the future of work. STEM skills are better remunerated and are more in demand from employers. The gender imbalance, thus, threatens the inclusion of women in prestigious work opportunities. Additionally, evidence shows that diversity in a group is associated with better performance and results, as people from different backgrounds bring different insights and perspectives (WEF, 2016). Involving women from an early age in traditionally male sectors, and vice versa, is fundamental for an individual’s and society’s well-being. This can be achieved by building strong channels to guide and harness the wide diversity of female and male talents that exist in non-traditional fields. New trends that are re-shaping labor markets operate on a system characterized by persistent challenges, like informality. Worldwide, the share of men in informal employment is higher than the share of women in such conditions, but this distribution is explained by the dimension of China and Russia labor markets. Women are actually more exposed to informality in more than 90% of Sub-Saharan African countries, 89% of the Southern Asia region and almost 75% of Latin America labor markets (ILO, 2018). Besides, nor all informal employment is the same. The proportion of women contributing family workers, often considered unpaid, are three times higher than men’s, representing up to 28% of women in informal employment vis a vis 8.7% of men. This means that women earn lower income from labor, and they are also exposed to higher decent work deficits (ILO, 2018). In low-income countries, the share of women contributing family workers is higher than 30%, while men are more represented among employees and own-account workers. In higher income countries, the vast majority of women in the informal sector are employees, while most men are characterized as entrepreneurs and have, in average, a higher income (ILO, 2018). In general, informal employment is related to the level of economic development. Informality rate is higher in developing countries with lower human development indexes. Women are more likely to be in informal employment than men in countries with the lowest GDP per capita. Nearly 91% of female workers with no education or only primary education are informally employed, compared to 87.2% of men. Informal employees also work more hours than formal employees (ILO, 2017). Moreover, lack of social protection compromises their well-being and their families’. Most social protection systems were designed for workers in “standard” employment. As a result, worldwide social protection coverage is low, particularly for workers in non-standard arrangements. 45% of the global population is covered by at least one social benefit, leaving the remaining 55 % unprotected (ILO, 2017c). Only 29 % of the global population enjoys access to comprehensive social security, a fractional 2 percentage point increase from the 2014 rate (ILO, 2017c). Ongoing changes in the labor market are likely to further deepen the coverage gap. Globalisation, demographic changes and technological advances driven by the so called Fourth Industrial Revolution, are contributing to the rise of non-standard forms of employment such as self-employment, temporary work and independent contracting (OECD, 2018). There are significant advantages to this new form of employment: it is easier and cheaper to offer and find work online (Katz and Krueger, 2016), digitalization lowers transaction costs, workers enjoy more flexibility and the gig economy reduces barriers to employment to those outside the traditional labor market. However, non-standard employment also exposes workers to new risks. The gig economy does not offer income security due to the occasional nature of labor contracts (Hunt et al, 2016). Firms face the growing incentive of giving workers alternative contract types (such as temporary work, part-time work or temporary agency work) to avoid paying as much tax (ILO, 2016b). Such trends pose a risk to the sustainability of social protection schemes (OCDE, 2018): They represent a reduction of the contributions being made to finance the system. On average, 16% of all workers are self-employed and a further 13% of employees are on temporary employment contracts in OECD economies (OECD, 2018). Most countries do not guarantee these workers the traditional social protection standards, leaving them, and their families, unprotected. A number of challenging questions regarding the protection of workers in non-standard employment are now central to the social protection debate. Who should be responsible for their benefits? How is it possible to guarantee income security? What family benefits should they obtain while in and out of work? In retrospect, such questions arise due to traditional view that social protection is exclusively linked to workers’ rights. Untying social protection from employment to link it to social citizenship instead, could be key to protecting vulnerable populations most affected by coverage gaps (OECE, 2018). It would require an equilibrium between contributory schemes and tax-financed instruments. Some developed countries particularly Sweden, Norway, Denmark, have consolidated universal protection systems associated not with employment status, but with citizenship in a broad sense. Emerging economies like Uruguay and Argentina have also developed more comprehensive social protection systems detangled from employment status and based on social citizenship (Filgueira, 2015). New technologies are expected to transform the future of work, displacing many existing jobs and ways of working. Yet care work involves a number of skills and capacities that are likely to be the least susceptible to the impact of automation. In fact, the increasing need for care indicates that it could be expected to be an important source of employment in the future of work (ILO, 2017d). The growth in care needs notwithstanding, women are likely to face greater and differentiated challenges in the future of work. Low levels of education and skilling alongside care commitments and socio-cultural norms restrict women’s access to economic opportunities; this trend is likely to be further reproduced in the future of work. Recent studies suggest that men stand to gain one job for every three jobs lost to technology advances, while women are expected to gain one job for every five or more jobs lost (WEF, 2018). The platform economy is said by its proponents to enable flexible work, yet evidence on the relationship between women’s time use, care and the care economy remains scarce. Gender inequities, including gender occupational segregation and pay gaps (Cook, Diamond, & Hall, 2018), are also being reproduced and magnified in the digital world. In many emerging economies, women lag behind in terms of mobile and internet access – in India, for example, less than 30% of women have access to the internet and only 14% of women in rural India own a mobile phone (GSMA, 2018). What will this mean for women and unpaid care work? One future scenario could be that as the care economy grows and its contribution to national income increases, unpaid care work carried out by women will become increasingly recognized and redistributed. This will create a more enabling and supportive environment for care – ranging from support for carers to community care services. This could enable women to access new opportunities for economic participation and empowerment within the care economy. Their experience as carers would make them a highly valued part of the new workforce, with equal pay to men, and opportunities for training and career progression. The other alternative is that as the care economy grows, and leverages new technological solutions, there will be an increased barrier to entry for women. Already, much R&D is being directed towards creating robotic assistants for hospitals and homes. In this scenario, many women could be displaced from their existing paid care jobs. If the change is technology driven, new jobs created with the care economy are then likely to become dominated by men. Studies already show that gender biases restrict women’s entry into science and technology related industries, which tend to be associated with male capabilities (Tejani and Milberg, 2010). While women’s unpaid care responsibilities are likely to decrease, opportunities for decent work in other sectors will simultaneously be shrinking as well. Moreover, only middle-high income households will be able to access such care-technologies, and the burden of care work on women in poor households will remain as high as ever. Scenario one is undoubtedly what the global community should be aiming for. Achieving scenario one will require proactive government interventions in public infrastructure and services, education and skills and the proactive policy steering of technological trajectories. Scenario two is likely to occur if the care economy in the future of work is left to market forces alone. Good-quality care employment that promotes gender equality should be a priority to empower women and help them enter the labor market. This is also a good policy option for development, demonstrated by macroeconomic modelling carried out by the International Labor Organization projecting forward to 2030 in 45 countries, which together represent 85% of global GDP and close to 60% of the global population and workforce. The combined employment in education and health and social work in these 45 countries amounted in 2015 to approximately 206 million workers, which represented almost 10% of their total employment and corresponded to 8.7 % of the combined GDP of these countries. The simulation compares a status quo scenario with a high road scenario. The status quo scenario assumes that care employment will change alongside population and demographic transformations into 2030, but that current coverage rates, quality standards and working conditions in care sectors will remain constant, with existing care deficits persisting. According to this scenario, it is estimated that total sectoral employment in education and health and social work is likely to increase by almost one-quarter to a total of 248 million jobs by 2030. This includes 94 and 95 million care workers and 29 and 30 million non-care workers in education and health and social work, respectively. In addition, 110 million jobs are generated in other sectors (indirect jobs). If the status quo scenario prevails, total employment creation in the care economy and in other sectors will be 358 million jobs by 2030 (ILO, 2017d). If not properly addressed, existing gender gaps in digital inclusion, could lead to gender inequalities in labor markets and financial inclusion amongst others (Marisgal, Mayne, Aneja, & Sorgner, 2017). This is because digital technologies are omnipresent and digitization affects all areas of our lives. Digitally illiterate women are likely to be excluded from attractive and lucrative employment opportunities, because they lack one of the most demanded skills in the digital age. Additionally, their digital exclusion will also prevent them from finding a fairly paid job. Job search markets are becoming increasingly digital and many employers prefer to hire their employees on online job search platforms. Digitally excluded women without access to such platforms run the risk of receiving significantly lower wages for their work than current market wages. Consequently, the inability to access and use digital technologies is likely to lead to an increased gender pay gap. Increased digital inclusion also offers promise to significantly improve female financial inclusion. Women often lack collateral required by traditional financial institutions to prove their creditworthiness. Digital economies are data-driven economies in which data capital is an important asset (Kanze, Conley and Higgings, 2018). New financial technologies use computer algorithms to analyze customer data in the form of digital transaction records to decide whether a particular customer should receive a loan or not. Digitally excluded women lack this important asset, making them riskier and less trustworthy for financial capital providers. In this sector time is of the essence. The longer it takes to close the digital gender gap, the less data capital women will be able to accumulate, leading to an ever increasing gap in financial inclusion. One of the fastest-growing trends has become known as the gig, or platform economy, in which digital platforms link workers with those who purchase their services. Yet evidence strongly suggests that ‘Uber-isation’ has particular impacts on women. Gendered digital divides mean that many women are unable to access gig work, both because of women’s disproportionately lower access to and use of mobile technology (GSMA 2018) and because of gender norms which mean women’s use of digital technologies can be highly limited by male family members (Hunt et al 2017). Specific attention is required by policymakers to ensure equality and non-discrimination as digitally-mediated work continues to grow exponentially across the world. The platform economy, with ‘flexible’ requirements, has the potential to facilitate women’s employment by giving women the option to juggle their domestic and professional roles. Home service providers report an increasing demand for women workers, even in traditionally male dominated professions such as plumbing, carpentry and other house repair work. Yet, not all can be seen through rose tinted glasses as in their current form, platforms often do not provide access to social protection mechanisms. These are particularly important for women, who are structurally and socially more vulnerable to external shocks. Thus platforms can also reproduce the precarious condition women face in the future of work (Hunt & Machingura, 2016). Under the current framework, the on-demand economy threatens platform workers’ access to decent work opportunities. Risks such as insecure incomes, discrimination, reinforcement of unequal power relations and erosion of social protection instruments are major concerns (Hunt & Machingura, 2016). It is not too late to protect women from exploitation and help them secure labor rights if governments enact regulations and policies based on evidence. Encourage innovative policies, but also learn from the past. Some things are new, but others not in the future of work – with some gender labor market inequalities being replicated. For example, gender gaps entrenched in ‘traditional’ labour market activities have already emerged across the gig economy. For example, a recent study on Uber found that women earn 7% less on the platform than men (Cook, Diamond, & Hall, 2018). Discrimination based on factors such as gender, age or race/ethnicity in traditional labour markets is replicated on platforms – albeit experienced in new, digitally-enabled ways (Hunt and Machingura 2016). Therefore, policymakers must resist the temptation to see emerging forms of work and wider social, economic and demographic trends as only ‘new’ and to be analysed and responded to in isolation, but also consider how existing discrimination, power differences and inequalities are replicated or exacerbated in modern – and future – life. Significant data gaps prevent the understanding of gendered experiences in the labor market. Filling those gaps is essential for the development of evidence-based policy which responds to the numerous and specific barriers to women’s participation in decent labor market activity as the world of work changes in the years to come. Ensuring decent and full employment for current labor market participants and new entrants will be an increasingly pressing challenge in years to come. Yet the scale of the challenge is likely to be significantly underestimated by commonly used statistical standards set by the International Labor Organization. Gelb and Khan (2016) have shown that the number of people seeking jobs may be ten times the number recorded as officially unemployed by most statistical systems. For example, 2 billion people globally are classified as ‘outside the labour force’, meaning they are neither working nor looking for work. Critically, very little is known about this group except that it is about two thirds (68%) women (ibid. ), and that according to the 2013 World Development Report (WDR) on jobs, ‘an unknown number’ are ‘eager to have a job’ (World Bank, 2013, cited in Gelb and Khan, 2016). This sentiment is corroborated by polling surveys which confirm that ‘a majority of women who are not currently in the workforce’ would prefer to work (Gallup and ILO 2017: 7 cited in Stuart et al. 2018). Furthermore, Hunt and Samman (2016:13) found that an average of around 90% of men and women reported that a good-quality job was either ‘essential’ or ‘very important’ to them’ across 17 countries in the Middle East and North Africa (MENA) and sub-Saharan Africa (SSA) in 2009. Clearly, ensuring that the future of work delivers for women requires not only a more accurate understanding of the quantitative demand for jobs than current statistical systems provide, but also a concerted effort to understand the gendered barriers to full economic participation. Automation is the main trend lacking the information needed to produce accurate estimates on the net loss of current work and the effect it will have on women and men alike. Even if women are more engaged in low skilled jobs which are the most prone to automation, it is also true that care services will represent a major labor opportunity in the future. The net balance is yet opaque. Provide public infrastructure and services to address increasing care needs and enable the creation of jobs for women in this field. Recognize care workers and promote a fairer gender division of domestic chores through family-work balance policies. Ensure universal, rights-based social protection mechanisms for workers in non-standard employment. Harness opportunities presented by the rise in digital technology to make ‘invisible’ work ‘visible’ to reach excluded workers. Re-design the link between access to social protection and job status. Identify the specific drivers of informal employment in each labor market and the gender particularities, including assessment of proportion of own-account workers and contributing family workers. Equip the labor inspectorate and other related enforcement authorities with modern strategies, methods and tools. Promote regulatory frameworks that take into account digitalization and new trends of employment relationships. Generate incentives for employers to formalize their employees. Reduce the digital divide between men and women through skills development and mentoring. Interventions must take into consideration prevailing socio-cultural norms, eg. women might need informal learning spaces. Promote participation of women in STEM through increased access to higher education in these fields through scholarships and internships; consider admission quotas. Encourage girls from an early age to engage with math, science and technology; promote their participation in related extra-curricular activities; promote role models. Invest in collecting gender-focused, context-specific data and evidence on the impacts of new trends such as the gig economy and automation. Recognize that local economic, political and social differences mean that trends will play out differently for men and women. Fill data gaps to better inform the decision-making process. Improve female access to information about new opportunities in the future world of work, providing counselling and guidance on how to navigate these opportunities. The authors are very grateful to Abigail Hunt, Fabio Betranou and Sanna Ojanpera for their valuable contributions to early drafts of this policy brief. Beneke de Sanfeliú, M., Polanco, D., Vásquez, L., & Calderón, L. (2016). Furthering women's empowerment through labor force participation. El Salvador: FUSADES. Chronic Poverty Research Centre (2005) The chronic poverty report 2004-05. Manchester: CPRC. Cook, C., Diamond, R., & Hall, J. (2018). The Gender Earnings Gap in the Gig Economy. Palo Alto: Stanford University. De Orte, P., Segone, M., Tateossian, F., & Josephilda, N.-H. (2015). Challenges to integration gender equality approaches into evaluation. International Policy Centre for Inclusive Growth. Díaz Langou, G., Beneke de Sanfeliu, M., Caro Sachetti, F., Rivero Fuentes, E., Drakeman, C., Robino, C., Branisa, B., Sorgner, A. (2018). 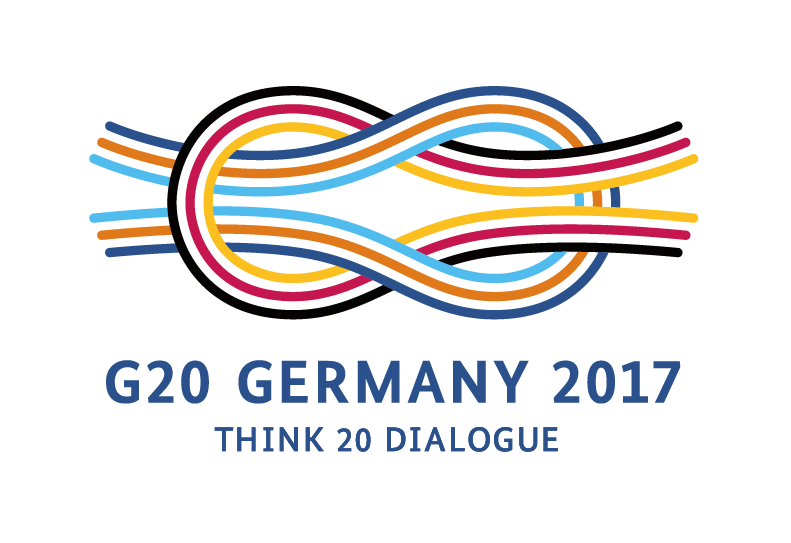 Achieving “25 by 25”: Actions to make Women’s Labor Inclusion a G20 Priority. T20 Solutions: Buenos Aires. Filgueira, F. (2015). Modelos de desarrollo, matriz del Estado social y herramientas de las políticas sociales latinoamericanas. Instrumentos de protección social: caminos latinoamericanos hacia la universalización. Santiago: CEPAL, 2015. LC/G. 2644-P. p. 49-84. Hunt, A., & Machingura, F. (2016). A Good Gig? The rise of on-demand domestic work. London: Overseas Development Institute . Hunt, A., Samman, E. and Mansour-Ille, D. (2017) Syrian women refugees: opportunity in the gig economy? London: Overseas Development Institute (https://www.odi.org/syrian-refugees-jordan-gig-economy). ILO. (2017a). The gender gap in employment: what is holding women back? Geneva: ILO. ILO. (2017b). Strengthening social protection for the future of work. Geneva: ILO. ILO. (2017c). World Social Protection Report 2017-2019. Geneva: ILO. ILO. (2017d). Care Work and Care Jobs for the Future of Decent Work. Geneva: ILO. ILO. (2018). Women and Men in informal employment. A statistical picture. Geneva: ILO. Institute for Public Policy Research. (2017). Managing automation. Employment, inequality and ethics in the digital age. IPPR. Kabeer, N. (2012) ‘Women’s economic empowerment and inclusive growth: Labour markets and enterprise development’, International Development Research Centre 44(10): 1–70. Katz, L. F., & Krueger, A. B. (2016). The rise and nature of alternative work arrangements in the United States, 1995-2015(No. w22667). National Bureau of Economic Research. Marisgal, J., Mayne, G., Aneja, U., & Sorgner, A. (2017). Bridging the digital gender gap. Berlin: W20. Muñoz-Boudet, A. M. (2017). STEM Fields have still a gender imbalance. Washington D.C.: World Economic Forum. Nguyen, H., & Ryan, A. (2008). Does stereotype threat affect test performance of minorities and women? Journal of Applied Psychology, 1214-1334. Nofal, B., Corember, A., & Sartorio, L. (2018). Data, Measurement and Initiatives for Inclusive Digitalization and Future of Work. Buenos Aires: T20. OECD. (2012). Closing the gender gap. Washington D.C.: OCDE. OECD. (2017). Report on the Implementation of OECD Gender Recommendations. Washington D.C.: OECD. OECD. (2018). The future of social protection: What works for non-standard employers? Washington D.C.: OECD. Tejani, S., & Milberg, W. (2010). Global Defeminization? Industrial Upgrading, Occupational Segmentation, and Manufacturing Employment in Middle Income Countries. New York: Schwartz Center for Economic Policy Analysis. UN Women. (2016). "Leaving No One Behind" In Action. New York City: UN Women. UNESCO. (2016). Closing the STEM Gender Gap. UNESCO. W20. (2017). Bridging the Digital Gender Gap. Berlin: Women 20. WEF. (2016). The future of jobs. Employment, Skills, Workforce Strategy for the Fourth Industrial Revolution. World Economic Forum.